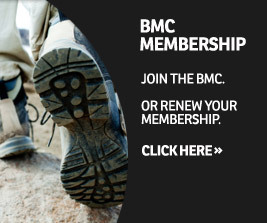 The BMC’s independent organisational review is asking for your opinions about the BMC. You can take part by answering this 10 minute the survey here. The UK’s most visited national park, the Lake District, has been given the prestigious UNESCO status. We find out what that might mean to the future of the park and the walkers and climbers that enjoy going there. Whatever your climbing goals this summer, we’ve got some great advice articles to help you achieve your next grade barrier whether 6a, 7a or 8a. An independent organisational review of the BMC is well underway and the next step the review team is taking is to perform a membership survey. Read on to find out more about the survey, how to take part and how to win one of three £100 cash prizes. 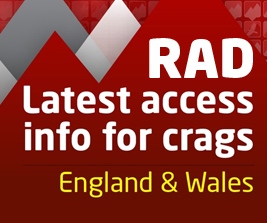 Climb grade 5 outdoor sport routes, but want to progress? Getting solid and comfortable climbing 6a will open up a lot of crags to you. But how do you start pushing your comfort zone, and what should you focus on? Two climbing instructors give their top tips. 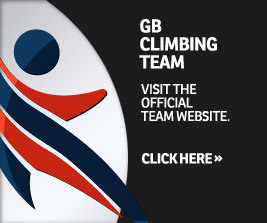 Dream of climbing 7a but think you’ll never reach that level? Get a grip! With a little hard work and some secret beta from top sport climber Steve McClure, you’ll be clipping the chains on your project in no time. So you’ve breached the 7a barrier, but what’s next? It might seem like a lofty goal, but maybe it’s time to give 8a a serious think. All you need is the right 8a, a shot of determination (not the vodka kind), and to read this 10 easy steps on how to climb 8a from BMC ambassador James McHaffie. 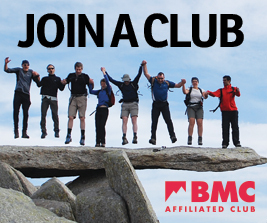 The BMC Student Safety and Good Practice Seminar is a must if you're involved in running a student climbing, hill walking or mountaineering club. The July newsletter from the independent BMC Organisational Review Group, featuring the steps the review group has decided upon taking before making any recommendations for changes. The wild moorland landscape at the heart of England is changing - but not everyone understands how or why. A recent walk jointly organised by the BMC and Moors for the Future gave walkers and climbers a chance to find out more. The Youth Climbing Series (YCS) for 2017 finished at the end of April in an exciting national final. After the event the area youth co-ordinators from England, Wales, Scotland and Ireland, gathered to discuss the series and plan the 2018 YCS. To earn the Triple Crown, Steve McClure had to climb the UK’s three best sport routes, on the UK’s three best sport cliffs, all 8a+, all in a day, and he had to travel between them under his own steam. 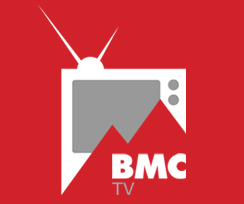 UPDATED: BMC TV film now live. The 6 Best European DWS destinations that aren’t Mallorca! The popularity of deep water soloing (DWS) continues to attract many thrill-seekers to the mecca that is Mallorca. But what about all the other prime coastlines in Europe? Unfortunately, a comprehensive guidebook for all DWS locations has yet to be written, but don't let that put you off! We've rounded up six of the best alternative destinations full of locals psyched for climbing above the sea. Get the inside knowledge: Chamonix-based Mountain Guides Will Sim and Stuart MacDonald offer the wealth of their experience for those thinking of ticking the highest point in Western Europe. We chatted to Emily at the This Girl Can Climb photo shoot and found out about her climbing experiences, how she started and her first experience of it and, what and who inspires her.